"Corbyn’s unlikely Labour leadership bid started on and was fueled by social media - in direct opposition to a hostile mainstream. His supporters are way ahead of the rest on these platforms." Piece by piece, the British Election Study is revealing the explanations behind our earthquake election, from the profile and churn of voters since 2015 to the issues that most concerned them. These most authoritative findings will be pored over by every party strategist and shape the way they respond to, or spin, policies such as Brexit. Of arguably equal importance is the information war - the perennial battle to prioritise and emphasise particular issues and perspectives. To shape the political conversation in households, workplaces, pubs on a daily basis, rather than just a short-term election campaign. On this score, the 2017 election may mark a radical turning point in UK political history. It is impossible to accurately measure the effect of media coverage, not least because few of us would acknowledge being susceptible to propaganda. Politicians, however, have long been painfully aware of press and TV influence, and the need to manage the news cycle. Labour in particular have seen one leader after another destroyed by Tory-supporting tabloids. Fear of it runs deep in their psyche and partly explains why so many MPs were adamant Jeremy Corbyn would lead them to disaster. However despite the most relentlessly hostile coverage ever endured by a party leader, Corbyn thrived. Whereas past enemies of The Sun were branded early - remember 'Red Ed', the lightweight puppet of the unions, who stabbed his brother in the back? - and never recovered, this Labour leader's approval ratings soared during the campaign. That must partly be due to his TV performances but vast numbers of people weren't watching the debates or political shows, let alone reading newspapers. Corbyn's unlikely Labour leadership bid started on and was fueled by social media - in direct opposition to a hostile mainstream. His supporters are way ahead of the rest on these platforms, as his opponents just discovered to shocking effect. It is widely acknowledged that Labour won the social media war, which in turn drove vastly improved turnout amongst relatively younger sub-sections of voters. More than any issue, turnout explains the failure of polls and markets to predict the result. Labour have long believed social media platforms favour them, offering a chance to organise better and cut through hostile traditional media. Yet in 2015, their much-hyped Twitter strategy spectacularly failed to reap dividends, with youth turnout falling. So what changed? The answer, plainly, is Corbyn and the campaign group set up to support him. 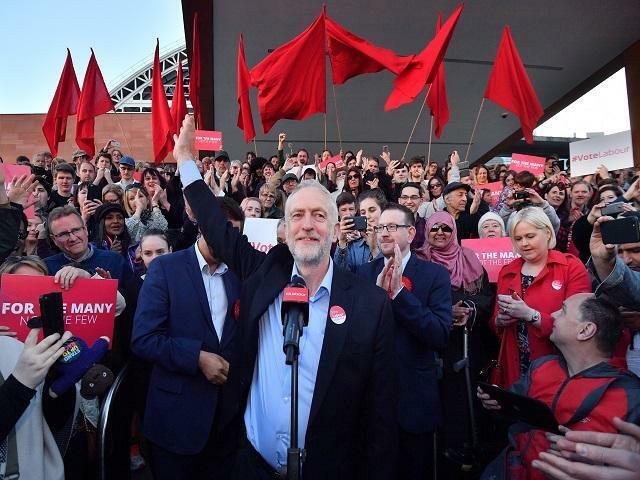 Having been dismissed as Trotskyite entryists, extremists and clicktivists who would never be bothered to properly campaign, everybody is taking Momentum seriously now. Naturally, Tories such as Robert Halfon are calling for an alternative, right-wing version to counter them. Their campaign was remarkably cost-effective. Apparently one in three UK Facebook users saw one of Momentum's slick, short videos, from a total cost of around £3,000. By comparison, the Tories spent over £1M. The key difference is that whereas the latter preferred the micro-targeting of specific individuals that worked so well in 2015, Momentum videos are aimed towards sharing, thus reaching a far wider audience. The Tories will surely now ape their tactics, from creating more shareable content to building apps for activists such as My Nearest Marginal. Whether they can do so effectively, without Labour's mass membership and support from the young, remains to be seen. And regardless of that work in progress, their greater concern should be losing the ability to shape the news agenda as their mainstream press backers decline in relevance. Never underestimate the narrative. The British public didn't randomly decide that, for example, cutting benefits, the budget deficit or leaving the EU were the most pressing political issues among thousands over the past decade. Rather, the media emphasised those talking points, creating the space for the Tories to erect dividing lines that damaged Labour. See how things have changed since the election. Events, of course, have a life of their own. Cabinet splits or the Grenfell Tower tragedy would dominate coverage and hurt any incumbent government. But consider instead some less fundamental issues - such as the debate around online abuse, or student debt. In both cases, co-ordinated attempts to attack Corbyn or his supporters backfired under the weight of evidence. It was easy for Labour women such as Diane Abbott or the writer Abi Wilkinson to demonstrate that online abuse and misogyny cuts right across political lines. Despite a week of media hype about Corbyn breaking a promise to eliminate all student debt, clips showing him promising no such thing went instantly viral. It was a gift for popular satirists like Jonathan Pie. The upshot - only 17% of 18-24 year-olds believed he made the promise, and even fewer among slightly older, equally affected, groups. Moreover, Momentum are becoming the conversation in the way their tabloid opponents once were. Last week's dinner party video not only went viral, but became a central part of the news agenda, prompting furious reaction from The Sun amongst others. The upshot - more people watched it. Whether the image of older, richer voters benefiting from entitlements they now deem unaffordable to younger groups resonates or not, it will get people thinking and talking about intergenerational fairness. For me, this has always been the true power of the press. It is less about the editorials, or even the stance, than their ability to get people talking about particular subjects. Whereas The Sun is used to shaping a populist right-wing agenda, forcing everyone else to respond, suddenly they must react to a left-wing populism of which they have thus far shown little understanding. When Labour last won, they employed a much-vaunted 'Rebuttal Unit' to counter critics. Now, they have an army doing it for free on social media. For the first time, at least since Rupert Murdoch arrived in the UK nearly half a century ago, they don't fear the Tory press or need pay lip service to it's agenda. Do not underestimate the electoral significance of this fast-changing landscape.